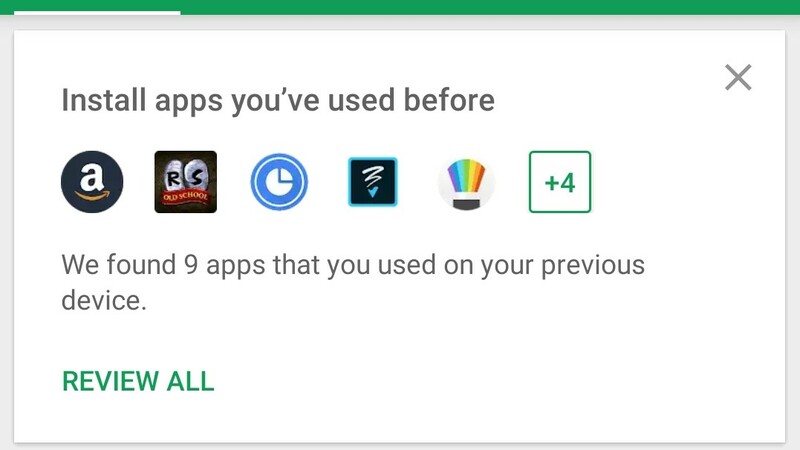 The new card, which appears at the top of all content in the Updates tab, highlights a handful of apps you've previously had installed, including those from other devices across a range of time. In my case, some of the apps included haven't been installed on any of my Android gadgets for years, while others were installed on other phones only days ago. Tapping "review all" on the card takes you to a new Recommended card in the Library tab, prompting you to either install the whole lot or select from items individually. We aren't entirely sure what triggers its appearance, as not all of us see the new card, but it appeared for me shortly after setting up a new device, so it could be tied to that. It's not the most mind-blowing feature, but it could encourage people to try apps they may have given up again, which could be a benefit to developers — even if it only amounts to a more polite sort of advertisement.